Breitling distinguishes itself by its original interpretation of the feminine vision of time. a ladies’ watch must combine performance and elegance, reliability and refinement. The Galactic 32 is a perfect example. This feminine and decidedly sophisticated timepiece expresses the ultimate in luxury, embodied in its exquisitely crafted mother of pearls dial with diamond hour-makers. 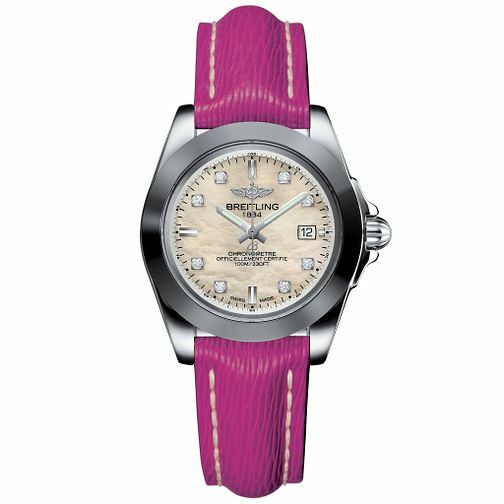 This wealth of design and finishing touches is further enhanced by the stainless steel case and pink Sahara strap.